A recently developed sustainability standard gives project teams the verification needed to ensure that stone being sourced for a project is environmentally responsible. Now that this international standard is recognized by leading green building certification programs, certified stone can assist projects with sustainability goals and bring far-reaching benefits to the entire design and construction community. It is no secret sustainability is on the forefront of top minds in the building industry—from architects and owners to product manufacturers. Thanks to the building community’s increasing commitment to constructing sustainable structures, material certification is becoming more important to reassure consumers best practices are being followed. The stone industry is one of the most recent in the building industry to adopt a certification program. Now, a third-party-verified standard for natural dimension stone helps project teams clearly identify stone being produced in an economically, environmentally, and socially responsible manner. While the standard was adopted in 2014, many in the building industry remain unaware of its existence and significance to the design and construction world. Known formally as American National Standards Institute (ANSI)/National Stone Council (NSC) 373, Sustainable Production of Natural Dimension Stone, this achievement for the stone industry is the result of years of planning. After realizing other industries in the building community had asserted their environmental stewardship in the marketplace, the stone industry decided to respond. After years of planning, research, and investment, NSC established the rigorous and voluntary standard to determine the degree to which natural dimension stone is extracted and manufactured sustainably. While the standard is new, sustainable practices are not a novel concept in the stone industry. At many quarriers and fabricators, environmentally responsible practices have been in place for years. Many companies in the stone industry have a long history of good stewardship of the land and the material production process. Natural stone is one of nature’s oldest and most long-lasting building materials. Now, all those involved with its production can verify their practices indeed have the long-term environmental interests in mind. Figure 1: As a cradle-to-gate standard, ANSI/INSC 373 applies to quarry operations through final fabrication. The third-party verification is important not only for manufacturers seeking certification, but also in the creation of the standard itself. Beyond the ANSI accreditation, NSC also sought third-party credibility by developing the standard with assistance from organizations such as Ecoform and NSF International. (For more information on these groups, visit their websites at www.ecoform.com and www.nsf.org.) Working together, these groups determined the environmental effects of how stone is quarried, transported, and processed. The result of these efforts is a standard for environmentally responsible extraction and manufacturing of natural dimension stone. It includes a set of well-defined environmental, ecological, socially responsible, and human-health metrics, and provides a method for improving baseline environmental performance for stone. 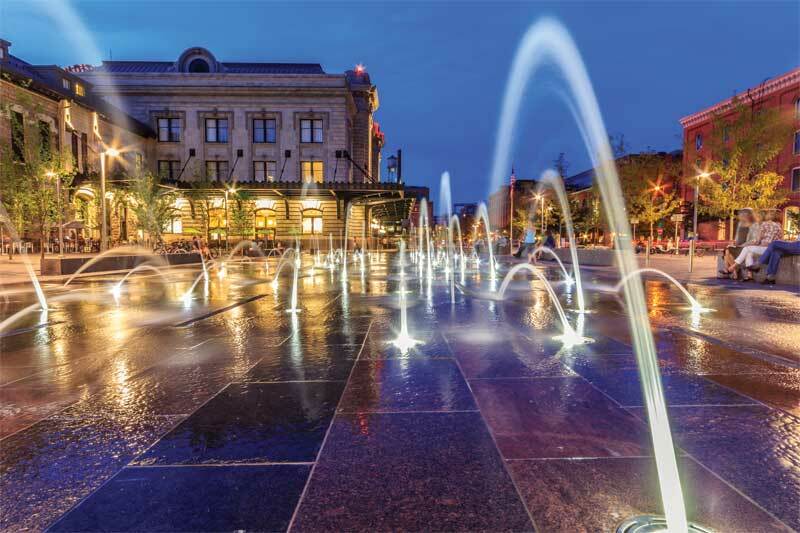 Ultimately, ANSI/NSC 373 has a goal of educating key members of the design and building professions the value and benefit of incorporating certified stone into projects. As design teams consider the benefits of certified stone, they should realize ANSI/NSC 373 is a cradle-to-gate standard, applicable to quarry operations through final fabrication. 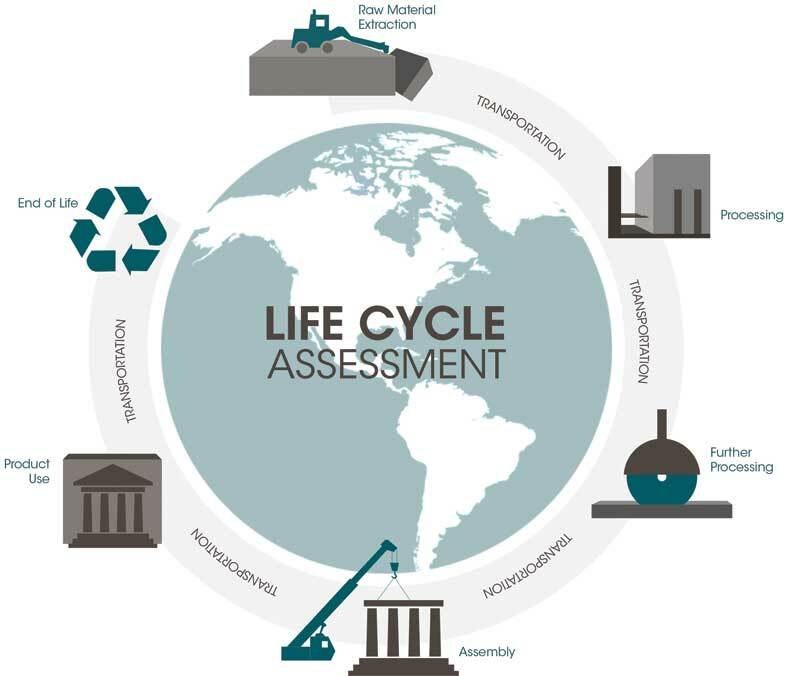 While the standard does not measure any life-cycle impacts once the stone leaves the fabrication facility, it allows designers and specifiers the opportunity to look more closely into the manufacturing process in their examination of a product’s life-cycle assessment (Figure 1). Further, natural dimension stone producers in both domestic and international markets can participate in ANSI/NSC 373—an important criterion in today’s global marketplace.